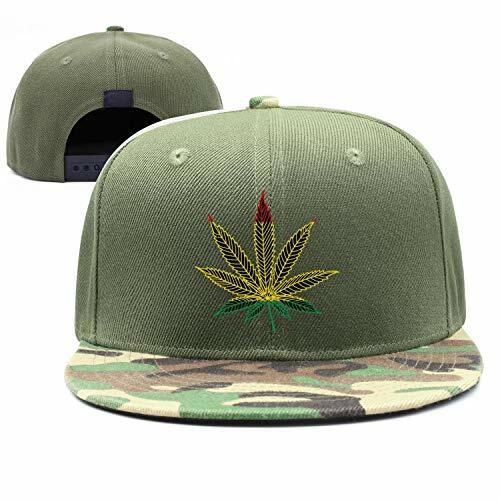 6 Panel Mid Profile BLACK Baseball Cap Marijuana LeafMade of 100% Acrylic fibers. 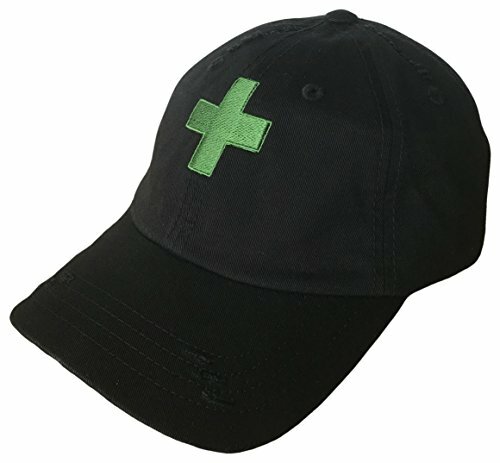 6 panel, pre-curved visor, HOOK & LOOP adjustable closure, one size fits most. the 2 panels measure at the widest section 7" and the center seam to curve 4"Makes a great simple and quality gift item. FINALLY! Low priced yet high quality items. No, not always the case from sellers. With a low combined $2.99 shipping!! Top that of with prompt replies for customer service from a trusted established seller! Over 30% of Heygidday sales are repeat buyers. Buyers have reasons to buy repeatedly from Heygidday! And for the ultimate satisfaction, a NEW 14 day MONEY BACK guarantee!! ALL of my items are high quality. Total shipping to the United States is just $2.99! It doesn't matter how many you buy! So buy up and save! If for any reason you buy more of these from me and the shipping is higher than $2.99, just ask me for a revised total before you pay! I will then combine the shipping for you, so that your total shipping is just $2.99! Not in the USA? Not a problem! Shipping to ANY international location is just $7.99! It doesn't even matter how many of these you buy! Note that if you an international buyer, time to receive items from me could be subject to you waiting 2 to 4 weeks for delivery. In Puerto Rico or Hawaii or Alaska? Regular US shipping only, that is just $2.99 total! Feel free to ask me any questions and I will respond promptly! Note that if you are buying from Colorado that I am required to add 2.9% Sales Tax to your order. 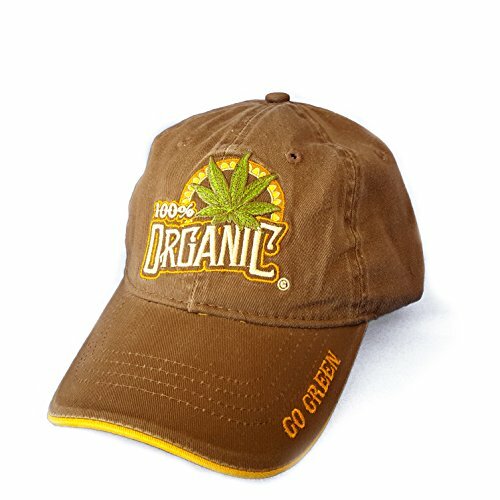 There are now THOUSANDS of awesome, high quality items available! Browse easy! Now there is over 30 great categories in the Heygidday store! COMBINED SHIPPING NOTEHeygidday offers combined shipping as much as we can! Here is how it can work, please read this carefully if you plan to purchase multiple items and you wish to save on shipping costs.Once you order and make payment we are NOT able to change the order and per Ebay rules it needs to be shipped as ordered to the buyer. Ebay locks the order and also takes a percentage of the shipping amount to keep for themselves.So the best method is to buy everything you need BEFORE you pay and then only once you are finished buying, then make payment. If you are still unsure the shipping will be one low fee then BEFORE you pay send us a message asking us to combine your order! We will then send you a final invoice and make sure the shipping is the lowest possible amount. Note we can NOT do this if you have already paid. See note above about that!The way it works is you will pay the shipping ONCE only if you follow these suggestions, and it will be the highest shipping amount of the items you have purchased and that is it. For example vest extenders are heavier than patches so shipping is a little more. But you only pay it once if you follow this method.Hip flasks we sell are a bit different, since they are made of strong stainless steel and they often weigh around half a pound each. You will pay a shipping fee for the first flask you buy and then pay a lower fee for each additional flask you buy. But we assure you we have gone through this very carefully, we ONLY charge minimal shipping amounts. We do not make money on shipping (even though Ebay does). We actually print our shipping costs on our postage labels so you can see exactly what we paid,So the bottom line is, buy whatever you want, but message us for a total BEFORE you pay! Thank you.